To all my readers, thank you so much for sticking with me through 2011. 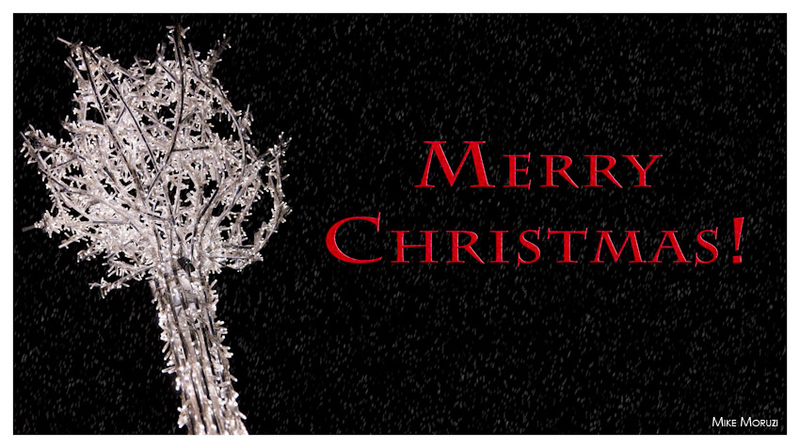 I hope you have a very Merry Christmas! Happy Hanukkah! Seasons Greetings! Happy Holidays! Happy New Year! I’m spending my time with my family over the holidays rather than spending time with my blog. So, I’ll see you all in January to kick off another year of photo blogging. These birds are keeping a careful eye on us as we coast by on the South Alligator River in Kakadu National Park in the Northern Territory. They probably learned to keep a watchful eye considering all the crocs in the river. Despite the name of the river, it was actually named for all the crocodiles. It just so happens that the explorer that named the river couldn’t tell a crocodile from an alligator. While at this time of year, it would seem reasonable that the picture above is that of a frozen lake, but the wide brim hats and the short sleeves seem to suggest otherwise. This is, in fact, a salt lake and the ice is actually a thick crust of ice that has formed on the surface. Our guide happily took us out for a walk on the lake. Hailing from Northern Ontario and knowing all about the dangers of thin ice, I should have wondered more about how safe it was to walk on the salt crust and yet, it never occurred to me to ask how thick it was. 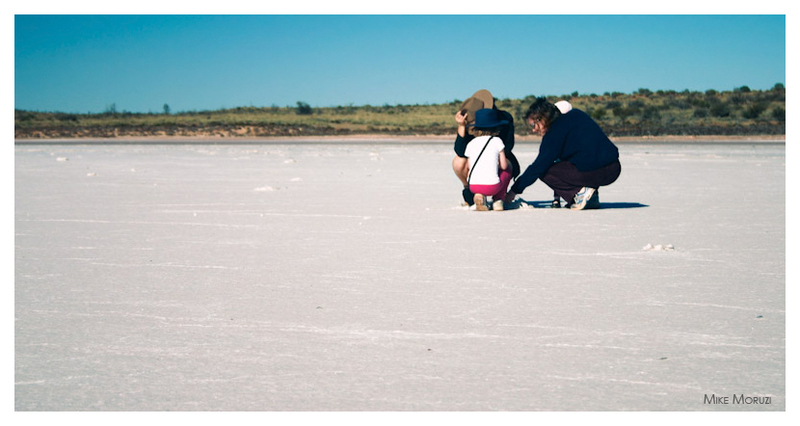 Walking on the surface of this salt lake, you’d be easily forgiven for thinking that you’re walking on ice, except, of course, this is the Northern Territory and while the nights are chilly, there is no chance of ice forming. Squatting on the ice is my family as they chat with our guide about a branch that has become entirely covered with salt. I couldn’t move on from the Red Centre without at least one image of Kata Tjuta. “Kata Tjuta” translates to “many heads” and it’s not hard to see why. 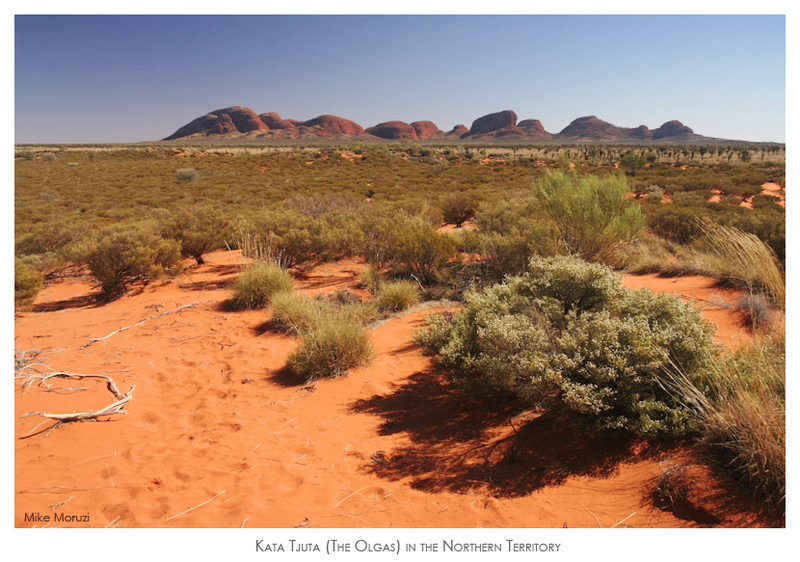 Unlike the one, large, imposing rock that is Uluru, Kata Tjuta comprises many separate peaks. 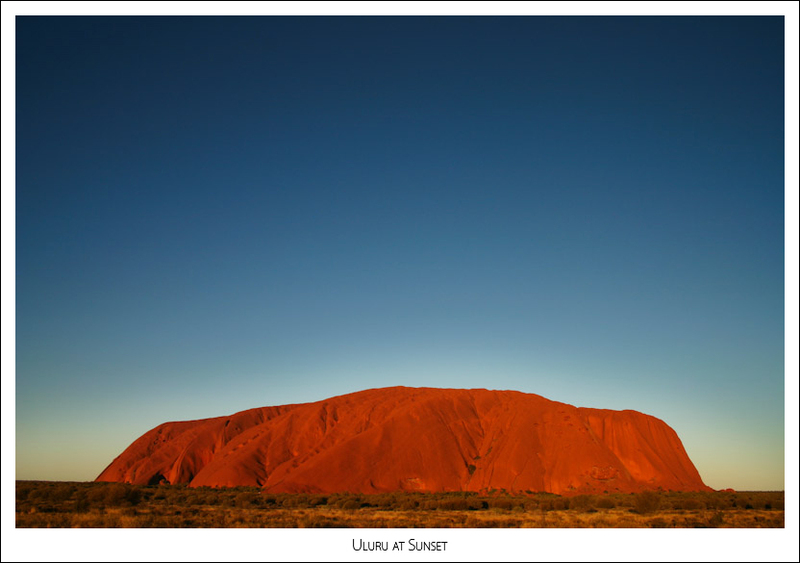 Together with Uluru, these are the major landmarks of Uluru-Kata Tjuta National Park. During our visit to Uluru-Kata Tjuta National Park, I was struck by just how much plant life there was in the desert. This being my first visit to a desert, I had somehow expected it to be more sandy and barren. As you can see, it’s plenty sandy, but there’s also no shortage of plants in this remarkable landscape. Yesterday, I mentioned the other big rock at the Red Centre. This is it. It’s Mt. Conner and it can be found east of Uluru on the rather large Curtin Springs cattle station. I say it’s rather large because it covers 416,400 hectares. That’s over one million acres! This photo has not been retouched. This is what it looks like at sunset. This was the view from our 4×4 as we sipped champagne and watch the sun drop to the horizon. Let me tell you, this far away from civilization, when the sun goes down, it gets very, very dark. Once it got dark, the six of us on the tour piled back into the truck and we set out following our headlights back to the resort. It was all going just fine as we moved from bouncing over rocks and dropping into pot holes to smoothly gliding across soft sand. At least it was going fine right up until we blew a tire. Did I mention we were in the middle of nowhere? No other traffic. No buildings anywhere in sight. No lights other than the headlights and the torch (flash light) in the glove box. Not a problem though. We were prepared. Our guide knew what she was doing. We knew how to change the a tire. Not that I’ve ever changed a tire before, but I’ve seen it done plenty of times… on TV. Just need to swap out the flat with the spare. Our guide had never driven this type of 4×4 before and the tire is tucked up underneath the back of the truck. She didn’t know how to get the spare out. No problem, that’s what user manuals are for. Got out the crank, attached it to the mechanism holding the spare and started cranking. After a few well-placed kicks, we eventually got the spare out. Progress! Next step, jack up the truck and get the flat off. Getting a jack to stand firm in soft, deep sand is a bit tricky, but we managed. We’re getting the lug nuts off the flat, but some of them are pretty tight and we’re pulling so hard we pull the truck back and off the jack. Okay, that was a bit dangerous; don’t want a truck falling on you out here. Back up on the jack and get the tire off. Putting on the new one was pretty straightforward as was storing the flat back up under the truck. We didn’t even have to pay extra for the extra adventure. Plus I learned a valuable driving tip when you’re driving at night in the Northern Territory. Drive in the middle of the road. Gives you more time to react and avoid the roos jumping across the road. If another car comes toward you, they’re usually so far away there’s plenty of time to move back into your own lane. Just remember to drive on the left. Never have I had a more disappointing set of photos than from our long weekend trip to the centre of Australia to see Uluru (aka Ayers Rock). The trip was outstanding, but the images never quite came together for me. I had some modest successes, but not nearly as many as I should have. This was about four years ago and apparently I wasn’t working my camera concentration as hard as I should have been. But, there’s more to a successful trip than just photos. Home base when visiting Uluru is the little town of Yulara. It’s a resort town with a range of accommodation to meet a range of budgets, but one look at the prices might make you think you need to have a pretty big budget. Uluru is the chief attraction, but a trip to the Red Centre has to include hiking at Kata Tjuta (aka The Olgas). If you’re feeling adventurous you might even take a full-day four-wheel drive tour out to Mt Connor. 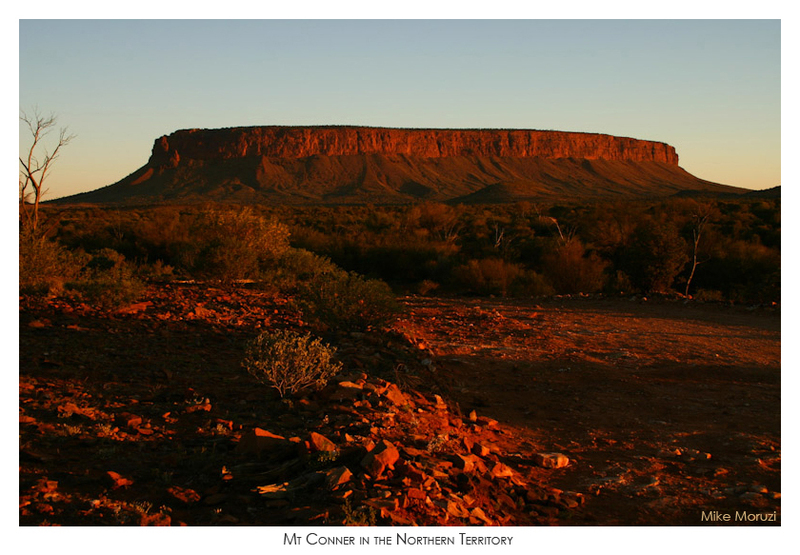 Mt Connor is a similar rock formation to Uluru, but it’s bigger and sits on privately held land. A couple of tour companies have arrangements with the owners to take groups to see a salt lake (very cool) and to drive to the top of Mt Connor. Lots of tourists fly in and out the same day and miss so much that it seems not worth the trouble to me. We stayed three and a half days and could have stayed longer. I personally can’t wait to go again. 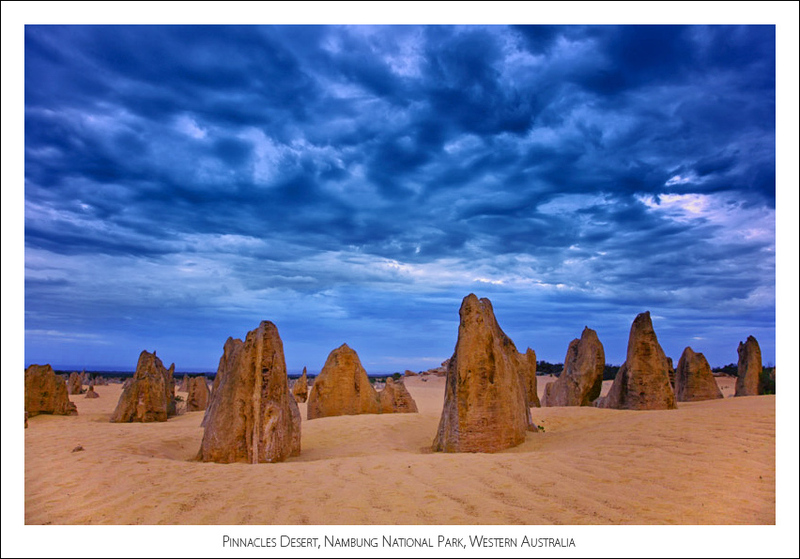 An easy two-hour drive north from Perth, Western Australia are the eye-catching limestone formations of the Pinnacles Desert in Nambung National Park. The park is near the small (pop: ~500) fishing town of Cervantes. The town is small by any standard with one general store and only a couple of hotels to serve the Pinnacles-bound tourists. While there are some beaches in the area, we found that they were purely working beaches that were well-travelled and well-packed by 4x4s. Walking across the beach at Cervantes was like walking on the main street with well-worn paths used by local fishermen. We saw some rays swimming in the shallows right along the shoreline before making a hasty retreat. The Pinnacles, best seen at sunrise and sunset, was definitely worth the drive and the overnight in Cervantes. There are lots of opportunities for photography either of the limestone peaks or of the local wildlife. My research tells me there are lots of emus and kangaroos in the park. While we didn’t encounter any of these, we did see a few galahs (aka rose-breasted cockatoos) keeping an eye on us and our guide swore he saw a legless lizard, but none of us could see what he was so excited about.